We have a three-part test for investing in a company. We want good businesses, capable management and a share price that is less than we think the company is worth. Well, there’s a little more to this than most people think. Traders – those who try to profit from short-term trends – tend to think stocks and companies are the same thing. If the goal of a trader is to buy stocks that go up, he will consider those that do to be “good” and those that don’t to be “bad.” He will just as likely speak of a company and its management as good or bad according to how well its stock is doing. Stocks and businesses are not the same thing. We don’t think this way. 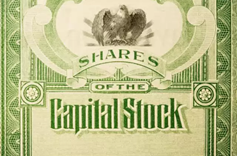 Stocks are ownership interests in businesses and may be for sale at prices above, below or equal to our estimate of business value. So here comes our three-part test. We want to own businesses that have good economic characteristics so that they can create wealth for shareholders. We want managements that will do their best to help, and we want to buy our ownership interests when these are available in the market at prices that are less than we think a business is worth. Well, how do we go about this? In this post, we’ll consider how we decide whether a business is a good one. In later posts, we’ll look at how we evaluate managements and how we estimate the value of a business. Stock Prices Can Be a Poor Indicator of Business Quality. A rising share price alone is not a reliable way to determine whether a business is good. Even companies that have poor sales and profits can see their stock prices rise from time to time. Eastman Kodak was destined for oblivion when digital photography made film obsolete, yet its share price sometimes rose. Sears has seemed doomed for many years, but its stock has rallied on occasion, whether on hope that its real estate may be worth something or because low interest rates have reduced its debt burden. By the same token, a declining share price doesn’t mean a company is bad. A lot of stock market traders operate on borrowed money and feel pressure to beat the market every quarter. They have little patience and may sell shares of even an excellent company if they fear it won’t help them in the short run. So What Makes a Business Good? High returns on the funds invested in operations. It’s better to earn 20% on an invested dollar than 10%. Lots of additional investment opportunities. A company will create more value if they have many investment projects that can generate high returns. When such opportunities are available, it makes more sense for a company to pursue them than to pay dividends to shareholders. A long period of expected growth. The only thing better than earning a high return for five years is earning one for ten or twenty. A competitive edge that will keep returns high for a long time. This is sometimes referred to as the “moat” that helps protect the castle, i.e., the wealth-creating business. A company may have an advantage from being a low-cost producer, a stellar reputation, great technology, patents or other factors. Much of our research involves examining the economics of companies to see how they measure up to our “good business” criteria. If we can’t understand how a business makes money and how it’s likely to be affected by changes in its industry, we won’t be able to make sound investment decisions. In such cases, we’ll avoid the company and move on to the next idea. Companies can build or destroy wealth for shareholders in ways that aren’t immediately obvious from looking at financial statements. It’s often necessary to adjust reported figures in order to make them meaningful. We also want to know about underlying industry and company trends that may affect future results. You can see already that what we do differs greatly from the trader’s objective of guessing how the market will react to the next bit of news about a stock. We’ll go into more detail about our process in upcoming posts.